Montana Gold TRANSPARENT shades enable artists to achieve greater visual depth and tonal variation with ease! These semi-sheer acrylic lacquers can be layered with opaque colors to create gradients and add dimension to murals, canvases and more. 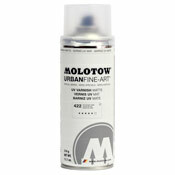 TRANSPARENT sprays are compatible with all Montana Level Caps and can be mixed with acrylic paints, pens and sprays. Eye-catching and unique, Montana Gold FLASH Colors are essential additions to any artistâ€™s arsenal! These low-pressure sprays are loaded with fluorescent pigments that not only radiate by day but also glow under a blacklight at night. UV resistant and quick drying. FLASH sprays are compatible with all Montana Level Caps. PROCESS colors are Inspired by the CMY color properties used in the printing industry, the CMY colors are powerful colors bound to draw attention to what ever they are applied on.